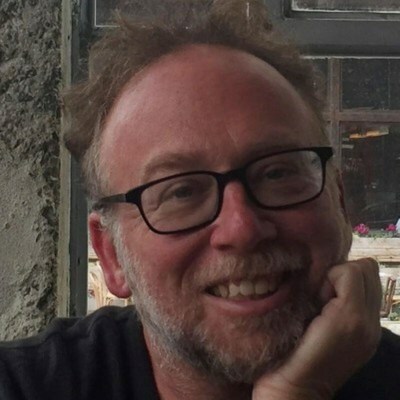 WEST HOLLYWOOD, Calif., April 4, 2019 /PRNewswire/ -- LiveXLive Media, Inc. (NASDAQ: LIVX) ("LiveXLive"), a global digital media company focused on live entertainment, announced today that Steve Baltin will join LiveXLive as Consulting Editorial Director. Baltin will develop original editorial and artist-related content for LiveXLive and its wholly owned subsidiary Slacker and produce a series of talent-centered podcasts. Additionally, he will serve as a talent consultant for series, specials and other original LiveXLive programming currently in development. "Steve has talent, expertise, and a passion for music," said Robert Ellin, CEO and Chairman of LiveXLive. "His appointment to our team is a demonstration of our continued commitment to deliver an unequivocally authentic voice to fans, brands, and bands as we aggregate the biggest cultural events around the world." Baltin has written about music for publications including Rolling Stone, Forbes, the LA Times, Billboard, and Vice. He hosts the Hulu series, "Riffing With," and taught music journalism at the Grammy Camp. Baltin has interviewed hundreds of artists, including Alicia Keys, Alison Wonderland, A$AP Rocky, Foo Fighters, Robert Plant and Taylor Swift. "Seeing an artist live is still the best way for me to fall in love with a band," Baltin said. "For me, it's a perfect fit to team up with a company that's all about celebrating the live experience. I am really looking forward to working with the entire team on making LiveXLive one of the absolute premiere homes for music content." LiveXLive Media, Inc. (NASDAQ: LIVX) (the "Company") is a global digital media company focused on live entertainment. The Company operates LiveXLive, one of the industry's leading live music video streaming platforms; and Slacker Radio, a streaming music pioneer; and also produces original music-related content. LiveXLive is the first 'live social music network', delivering premium livestreams, digital audio and on-demand music experiences from the world's top music festivals and concerts, including Rock in Rio, EDC Las Vegas, Hangout Music Festival, and many more. LiveXLive also gives audiences access to premium original content, artist exclusives and industry interviews. Through its owned and operated Internet radio service, Slacker Radio (www.slacker.com), LiveXLive delivers its users access to millions of songs and hundreds of expert-curated stations. The Company also operates a social influencer network, LiveXLive Influencers. The Company is headquartered in West Hollywood, CA. For more information, visit us at www.livexlive.com and follow us on Facebook, Instagram and Twitter at @livexlive.